64 companies of Central Armed Police Forces (CAPF) were earlier deployed to Tripura for handling law and order situation in two Lok Sabha seats of the state. Twenty-four hours after the Election Commission of India (ECI) deferred Lok Sabha polls at East Tripura (ST reserved) constituency from April 18 to April 23 on security grounds, the state election authority beefed up additional security measures to ensure proper law and order situation before polling at East Tripura constituency. Speaking with indianexpress.com, Tripura Chief Electoral Officer (CEO) Sriram Taranikanti said, “We are intensifying patrolling activities. We are looking at suspicious persons who are around and we will intensify security wherever we are suspecting some difficulties. We will also take action against some of the persons who are likely to create trouble”. The official also said that he requested ECI for additional central security force deployment ahead of the deferred poll date. “We are trying to get some more Central Armed Police Force (CAPF). We hope that we shall get additional security personnel”, he said. However, the CEO declined to reveal figures of additional CAPF requirement and said the numbers are decided by ECI and MHA. Meanwhile, Tripura Police arrested five persons for allegations of threatening voters against turning up at polling stations in the poll bound constituency late night yesterday. Govinda Das, a police Sub-Inspector was attacked by miscreants last night when he stopped them from threatening voters at Kalyanpur area of Khowai district, 60 Km from Agartala. The police officer sustained minor injuries and is out of risk. Khowai district Superintendent of Police Krishnendu Chakravertty told indianexpress.com that the five arrested persons were trying to threaten voters against turning up in front of polling stations in the East Tripura constituency. “They were trying to threaten some voters. Sub Inspector Govinda Das intervened and they attacked him. He sustained minor injuries. We are making strict security arrangements”, the SP said. Two cases were lodged against the five arrestees under Section 332 and 353 of the Indian Penal Code. The accused persons were forwarded to a local court this afternoon and sent to judicial custody. BJP spokesperson Nabendu Bhattacharya said his party has welcomed the Election Commission’s decision to defer polling in East Tripura seat but said a delegation of the party would soon meet the CEO with apprehension of attempts to create unrest in the poll-bound seat. “The Election Commission has deferred polling in East Tripura constituency from April 18 to April 23 for conducting free and fair election. We welcome the decision. But our delegation has met the CEO this morning and requested him to take necessary measures to prevent unrest in the poll-bound seat”, Bhattacharya said. Both opposition Congress and CPI (M) had earlier accused BJP supporters of perpetrating widespread violence, poll rigging, booth jamming and other terror tactics against voters. 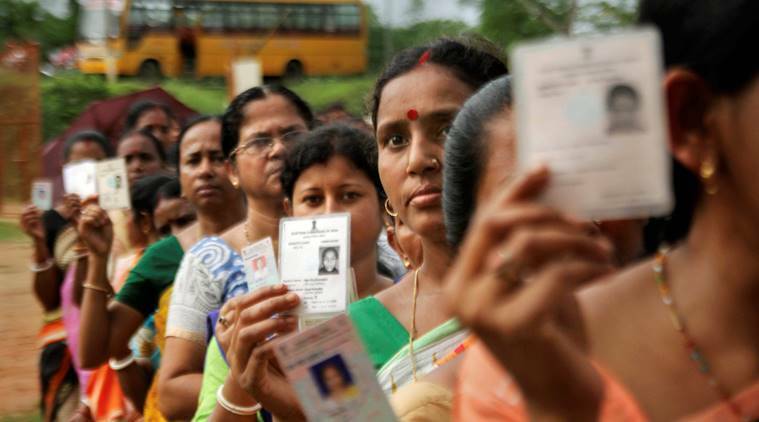 West Tripura Lok Sabha constituency which went to polls on April 11, concluded with 83.10 percent voter turnout.